I have barely gotten introduced to Anthony Scaramucci, and I love the guy. Talk about Trump’s outer Italian. This guy is raw. No, he makes raw look burnt! I tell the story on my radio show of a friend picking me up in Boston to drop me off at my hotel. He asked if i mind while he stopped to meet with a client. I replied that I was fine with it. We arrived at the business, where the receptionist alerts the executive of our arrival. The exec came out to get us, ushered us into this big corner office, and I was introduced to him. We shook hands, and the two friends began cursing each other out in a way that would have made Tony Soprano blush. The meeting ended. The two shook hands, and Tom and I left. Libs In A Meltdown Over Scaramucci Using Foul Language About Steve Bannon. He's An Italian From The Bronx..
Bannon is a loose cannon. I’ve met him and discussed a few of our encounters. 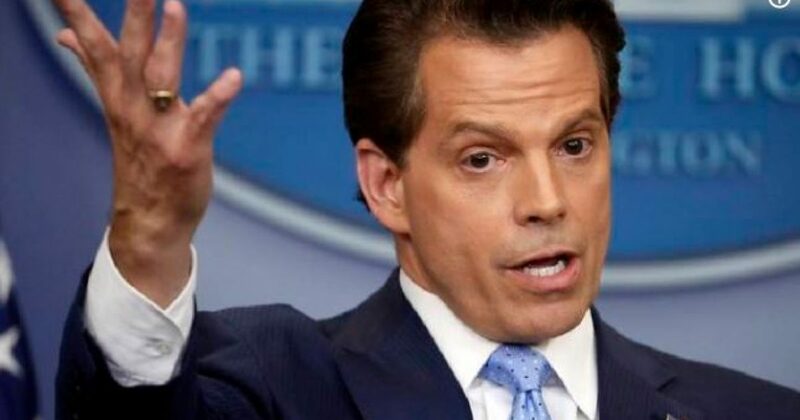 I believe he will be gone soon, because Scaramucci wants a clean slate. I will say that this White House team is a blast to watch. Just no video of Bannon in the White House bathroom. Though according to Larry Connor, Bannon can’t accomplish what Scaramucci suggested. As for the leakers, Scaramucci is like an exterminator on a bug hunt. I’m really interested to see who’s next.